Rump roast is a large cut of beef that comes from the cow’s hip area. 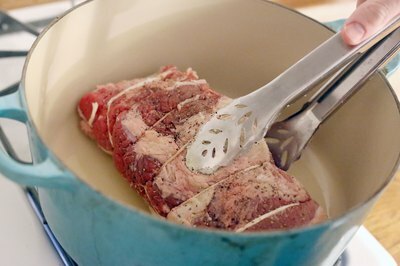 Butchers may roll the meat and secure it with twine, then package and sell it as rolled rump roast. Rolled rump roast is a thick piece of meat that risks drying out during the cooking process, so it can be difficult to get tender results if you grill it or use other high-heat methods. Instead, combine rolled rump roast with beef broth and cook it slowly over low heat to ensure it remains as tender as possible. Remove the rolled rump roast from your refrigerator and let it sit on your counter for at least one hour or until it warms up to room temperature. Take the rolled rump roast out of its wrapping, then thoroughly coat the entire surface of the meat with an even layer of salt and pepper. Add 3 tbsp. of olive or vegetable oil into the bottom of a large pot on your stove top. 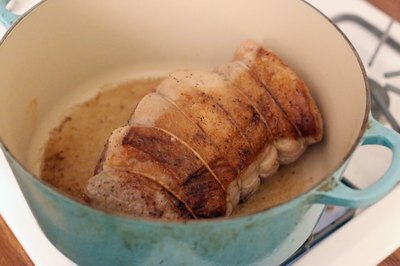 Turn your stove to “medium high.” Use tongs to transfer the rolled rump roast directly into the pot and let the bottom of the cut of meat cook in the oil without moving it for about three minutes or until it has a golden brown outer crust. Flip the meat over with the tongs so the top of the meat is heating in the oil. Let it cook for three minutes or until it is golden brown. Remove the meat from the pot and drain out the leftover oil. 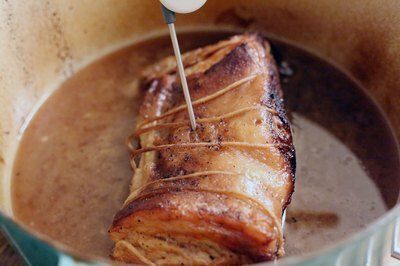 Preheat your oven to 300 degrees F. Put the rolled rump roast back into the pot, then pour in 1 cup of canned beef broth. Place a lid onto the pot and transfer the covered pot into the oven. 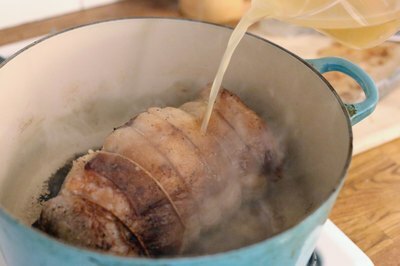 Heat the rolled rump roast for one hour, then take off the lid and pour in an additional 1 cup of canned beef broth. Put the lid back onto the pot and place it back into the oven for one hour. 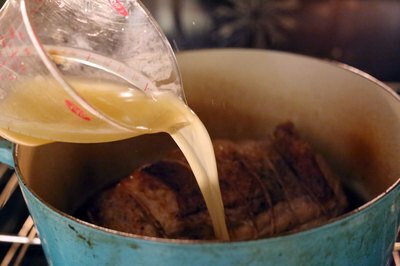 Continue the process of heating the meat and adding 1 cup of canned beef broth in one hour intervals for a total of three hours. Remove the pot from the oven and insert an instant-read meat thermometer into the center of the meat. Ensure the thermometer registers a minimum of 120 degrees F if you want the meat rare. Put it back into the oven and check it every 15 minutes until it reaches your desired level of "done-ness" or a maximum temperature of 160 degrees F for well-done. Let the cooked rolled rump roast sit at least 10 minutes before you handle it. Cut it into slices as thin as possible and serve. Soak the rolled rump roast in red wine or beef broth (along with your preferred seasonings) for up to 24 hours in your refrigerator before cooking to add a richer taste. Add hearty chopped vegetables, such as carrots or potatoes, into the pot with the rolled rump roast as it cooks for a one-dish meal. Do not cook meat immediately after you remove it from the refrigerator–exposing chilled meat immediately to a hot cooking surface can shock it and make it dry out. 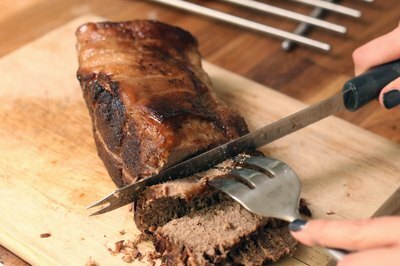 Do not cut into the rolled rump roast immediately after it is finished cooking because its inner juices won’t have time to settle and will immediately leak out, leaving you with a dry piece of meat.